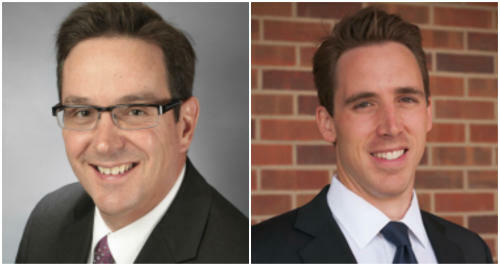 Meanwhile, the two camps – or their allies – have filed complaints against the other with the Missouri Ethics Commission, accusing Schaefer and Hawley of misusing their government-financed posts as a state senator (Schaefer) and law professor (Hawley). On Friday, the commission dismissed the complaint against Hawley. The Hawley/Schaefer contest also pits the state’s two top political donors against each other. Wealthy financier Rex Sinquefield gave $500,000 to Schaefer last fall, while Joplin businessman David Humphreys contributed $500,000 to Hawley earlier this month. Hawley also has received $250,000 from Humphreys’ sister. On Friday, the Schaefer campaign reported receiving almost $250,000 from two groups -- Missourians for Excellence in Government and Great St. Louis -- that are almost entirely funded by Sinquefield. And then there’s the intrigue of who’s behind the various outside groups – with unidentified donors -- who are running TV and radio ads, generally against Schaefer. Schaefer accuses Hawley or his allies of being behind the attacks, while Hawley denies any knowledge. So far, the groups -- which include the Public Integrity Alliance and the State Conservative Reform Action PAC -- have paid for or reserved more than $1 million to air their ads or conduct other anti-Schaefer activities. Both candidates reside in Columbia, Mo. The victor of the Aug. 2 GOP primary will compete in November against the Democratic winner: either former Cass County Prosecutor Teresa Hensley or St. Louis County Assessor Jake Zimmerman. Schaefer, 50, is in his last term as a state senator. Hawley, 36, is on leave from his job as a law professor at the University of Missouri Law School. The most recent campaign-finance reports, filed in April, show Schaefer with more money, in part because he has loaned some of his own money to his campaign. Hawley had outraised him slightly during the latest quarter, and the Humphreys money has helped close any financial gap. Their jobs figure into the ethics complaints lodged against both candidates. Schaefer is accused of using his influence as chairman of the Senate’s powerful appropriations committee to pressure the university to block or revoke Hawley’s leave. 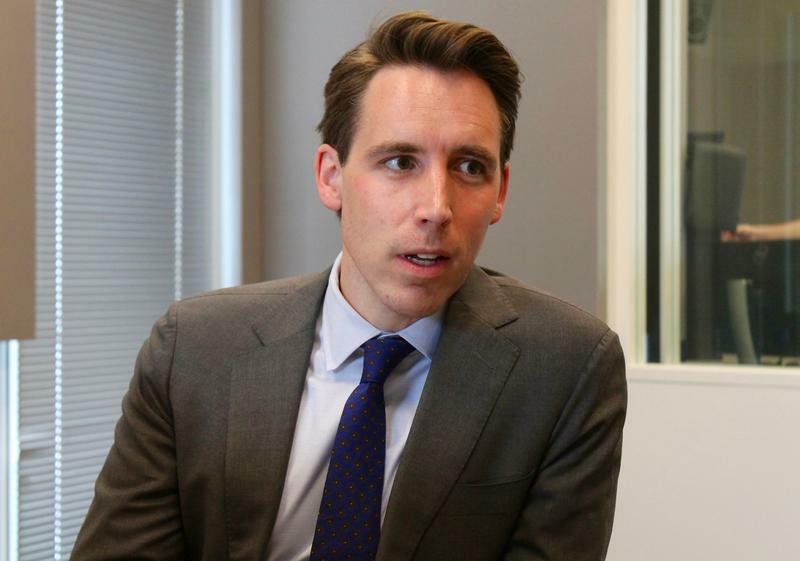 Hawley is accused of beginning his campaign before he went on leave and using university resources, such as his office computer. Both men deny any improprieties and accuse the other of being behind the ethics complaint. Hawley is running one ad that doesn't mention Schaefer, but implies that Hawley’s rivals viewed the attorney general’s office as simply another rung on the political ladder. His newer ad attacks Schaefer directly, but using video clips that the show the senator repeatedly characterizing himself as “a moderate” – not a popular term in many GOP ranks. The Hawley campaign says Schaefer’s own words illustrate their assertion that he isn’t a true conservative. Schaefer “is recognized as a stalwart conservative,’’ Dieckhaus continued, particularly when it comes to actions to oppose abortion, support gun rights and curb state spending. Schaefer has been endorsed by over 100 members of the Missouri General Assembly, including House Speaker Todd Richardson. Hawley's backers include retired U.S. Sen. John C. Danforth, R-Mo. Schaefer and Hawley have both been endorsed by Missouri Right to Life, a major anti-abortion group. Schaefer’s campaign is playing down Hawley’s involvement in the Hobby Lobby case, noting that Hawley did not argue the case in court, instead writing legal briefs. But Schaefer’s camp is playing up its allegations that Hawley played a bigger role than he has acknowledged in a case that involves a prison inmate who successfully pursued a legal fight to grow his beard in line with his new Muslim beliefs. The inmate is Gregory Holt, an Arkansas inmate who changed his name to Abdul Maalik Muhammad. His case is the centerpiece of Schaefer’s new ad. Holt sued because the state prison system barred him from growing a long beard. The U.S. Supreme Court ruled in his favor last year. Holt’s case was taken up by the Becket Fund for Religious Liberty, a key legal player in the Hobby Lobby case as well. Hawley was initially listed as one of the Becket lawyers on the brief filed in May 2014 with the U.S. Supreme Court. An amended motion filed several months later did not include Hawley’s name. Hawley has maintained that his name was initially included in error, and that he never agreed to be involved in the Holt case. His campaign has noted that the change in Hawley’s status was reported by news outlets a year ago. So far, Schaefer’s campaign is standing by its ad, and its attacks against Hawley. Meanwhile, Schaefer is under fire from an ad by the State Conservative Action PAC that blasts him for supporting legislation several years ago that revamped Missouri's ban on foreign ownership of agricultural land. The ad doesn't mention that most of the General Assembly's GOP leadership supported the law change, as did Gov. Jay Nixon, a Democrat, and U.S. Sen. Roy Blunt, R-Mo. 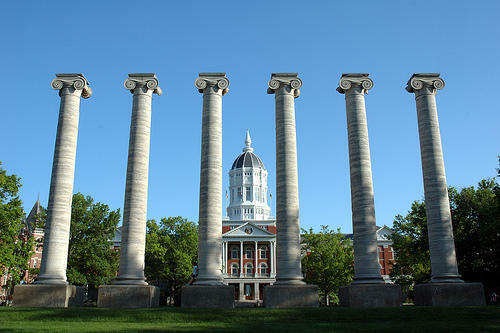 A former Missouri state representative is suing the University of Missouri and Joshua Hawley, a Republican candidate for attorney general, over delays by the university in responding to a wide-ranging request for emails and other documents. As if the University of Missouri didn’t have its own troubles, the state school now is caught in the middle of arguably the nastiest political primary battle in the state. The combatants are university law professor Josh Hawley and state Sen. Kurt Schaefer. Both are Boone County Republicans vying to be their party’s nominee this fall for Missouri attorney general. 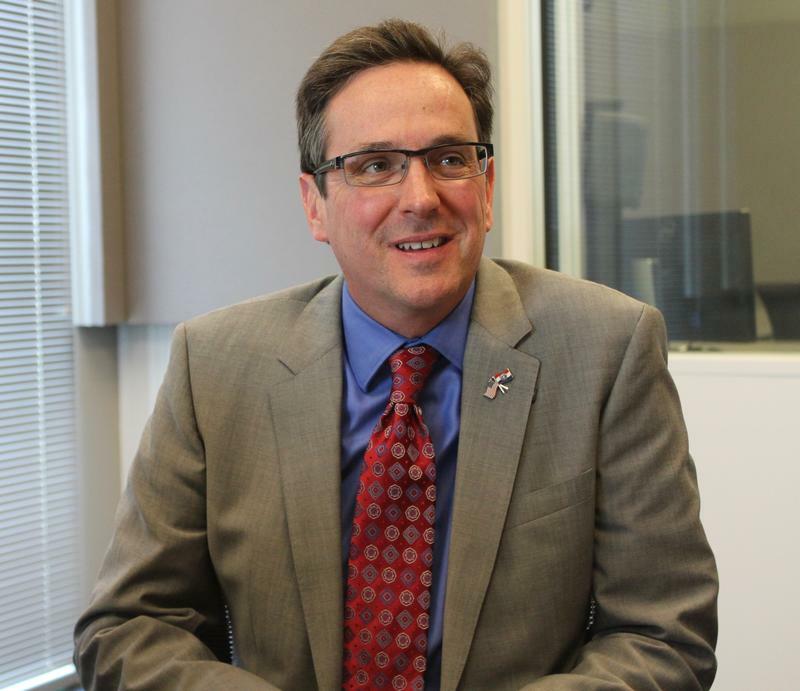 On the latest edition of Politically Speaking, St. Louis Public Radio’s Jason Rosenbaum and Jo Mannies welcome back Sen. Kurt Schaefer to the program. The Columbia Republican, who usually sports cowboy boots, last was a guest of the show in late 2014.